High aspect ratio features in silicon have broad applications in micro-electro-mechanical systems, microfluidic control and advanced packaging. This structure is usually fabricated by Bosch process, and the corresponding scallop should be controlled. Obtaining large scallop size seems easier than that of small scallop, however, it is a big challenge to obtain uniform large scallop. Herein, by using dry etching system, we demonstrate a novel high aspect ratio silicon trench with scallop size uniformly larger than 300 nm in both single crystal silicon and polycrystalline silicon. Additionally, the difference between single crystal silicon etching and polycrystalline silicon etching is compared. 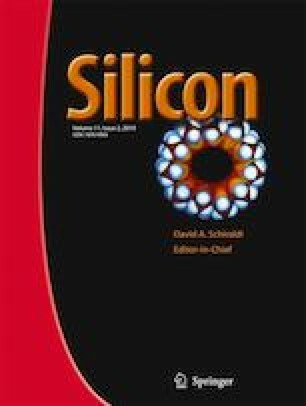 This work is beneficial to understanding the silicon etching mechanism in Bosch process and has potential applications in microelectronic and microfluidic devices. The online version of this article ( https://doi.org/10.1007/s12633-018-9948-3) contains supplementary material, which is available to authorized users. This work was conducted with partial support from National Science and Technology Major Project of China. The authors thank Dr. Gangli Chen for beneficial discussions on this work.